The dread surrounding this introduction sets the stage for how far developer Big Robot has come since the last time they attempted something like this. 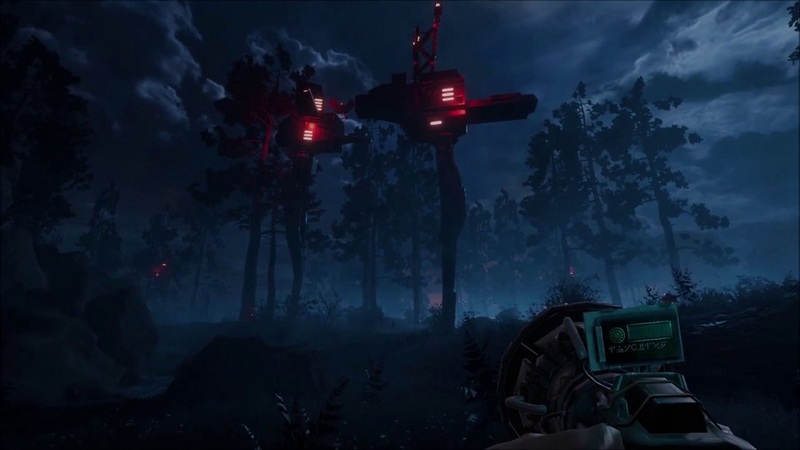 They previously released a title called Sir, You Are Being Hunted, in which players scavenged for supplies while evading murderous, Victorian-themed androids tracking them down. It was an intriguing setup marred by an ugly visual style, repetitive objectives and a lack of a consistent tone. From what I’ve played of The Light Keeps Us Safe – the team’s most recent title, which released on Early Access last month – these folks may be well on their way to fully capitalizing on the idea. Though the project is still clearly under development, what I’ve played is tense, moody, and scary as hell. When the game begins, most of humanity has already been wiped out in an unseen Judgment Day-like event, and now the surface is crawling with machines scouring for survivors. 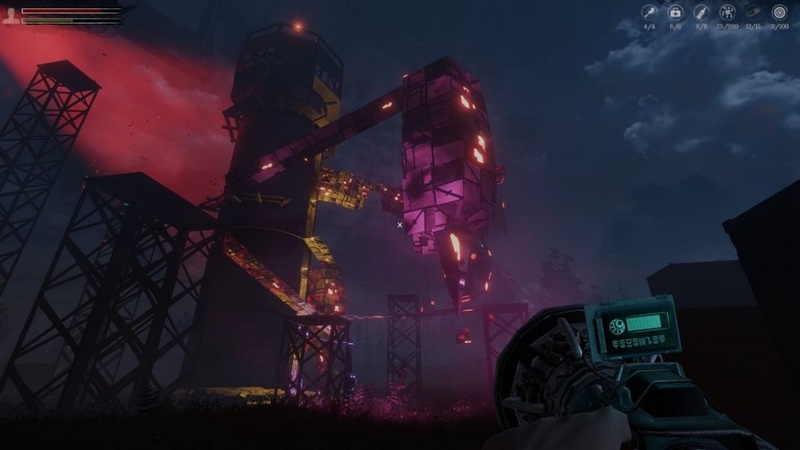 The player’s character emerges from an underground bunker with only a flashlight – or a “torch,” I guess, since this is a British game – and the knowledge that the machines are repelled by white light. There’s a mild survival element to TLKUS as players must rummage for food to keep their hunger meter sated, but the primary objective is to scavenge mechanical parts while avoiding the robots’ menacing red searchlights. While some of the machines’ security measures can be disabled, we have no direct means of attack. The patrolling drones can be stunned, but only as long as the torch is trained on them. Since the device has a finite amount of energy, it’s best to avoid conflict entirely. As a stealth game, TLKUS is almost unbearably nerve-wracking, and a heaping portion of the credit goes to the phenomenal sound design. The machines all emit sharp bleeps and static noises that cut through the air and constantly remind us of their presence even when we should feel safe. Each type of enemy makes a different sound, training players to tense up when they hear certain cues. I’m a bit worried that the game’s reliance on this will make it inaccessible to players who are Deaf or hard of hearing, but the audio design is outstanding nonetheless. Since the game is still in development, TLKUS is full of technical issues that I assume will eventually get sorted — things like the player character’s habit of snagging on geometry. Also, walking up stairs is a particularly inexact science. My bigger concern is whether the procedurally-generated levels can maintain interest for the length of a full game. In the couple of hours I spent, I noticed a lot of repeated assets. I’d hate for TLKUS’s strong atmosphere to take a hit when players start noticing the seams. That aside, the atmosphere is undeniably there. With some touching up in the right places, it could make for one of the most effective horror games in recent memory. 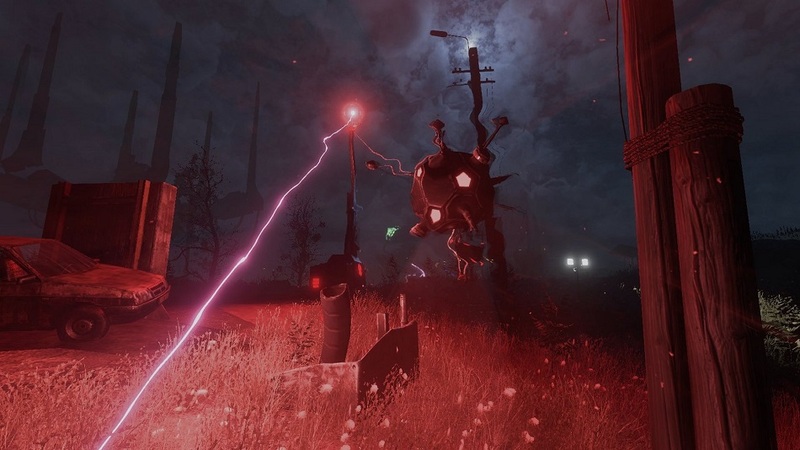 Big Robot, who also made last year’s The Signal from Tölva, has a penchant for creating oppressively lonely environments, and TLKUS has the potential to be the best application of their talents yet.